The Great Yarmouth ‘Annual Charity Duck Races’ are organised by the Great Yarmouth Haven Rotary Club. The races are all in aid of charity; the event raises money for many worthy causes, both local and international. This year will be the seventeenth consecutive year that the races will have taken place! Our duck is aptly named Miss Moneypiggy, who is currently in the process of training for the big day by swimming lengths at the local swimming pool. 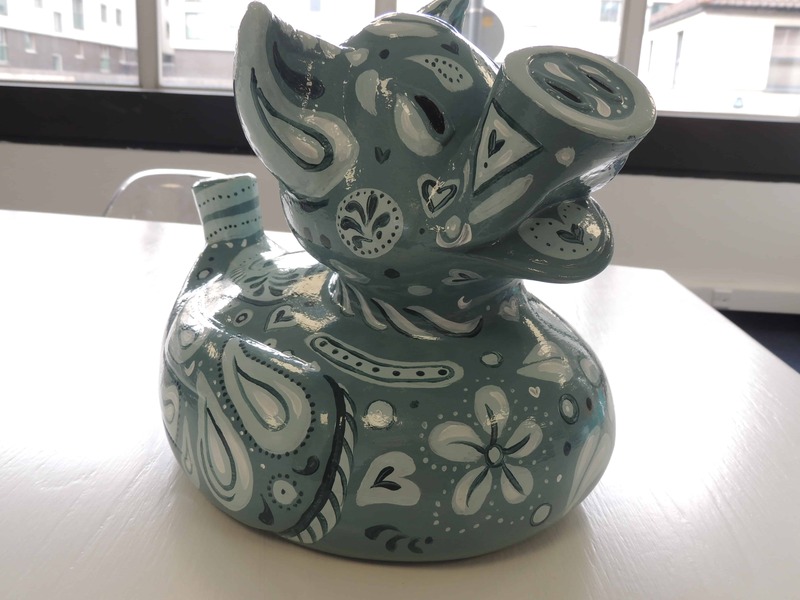 Each duck in the Corporate Duck Race will be designed by the company in any way they wish, so it will be interesting to see the many different designs on the day. The annual race will be held at the Venetian Waterways on September 18th, there will be four races in total, with the first race starting at 2pm. The event is free to attend, so why not come along and watch the colourful spectacle with your own eyes? We’re excited for the big day and we hope that the event will go swimmingly. You can follow us on Twitter (@AstonShaw) for updates and pictures of Miss Moneypiggy.